What do you get when you combine four fantastic organisations into one all-powerful supergroup? If you’re talking about the veterinary profession, then your answer would be MWI Animal Health. 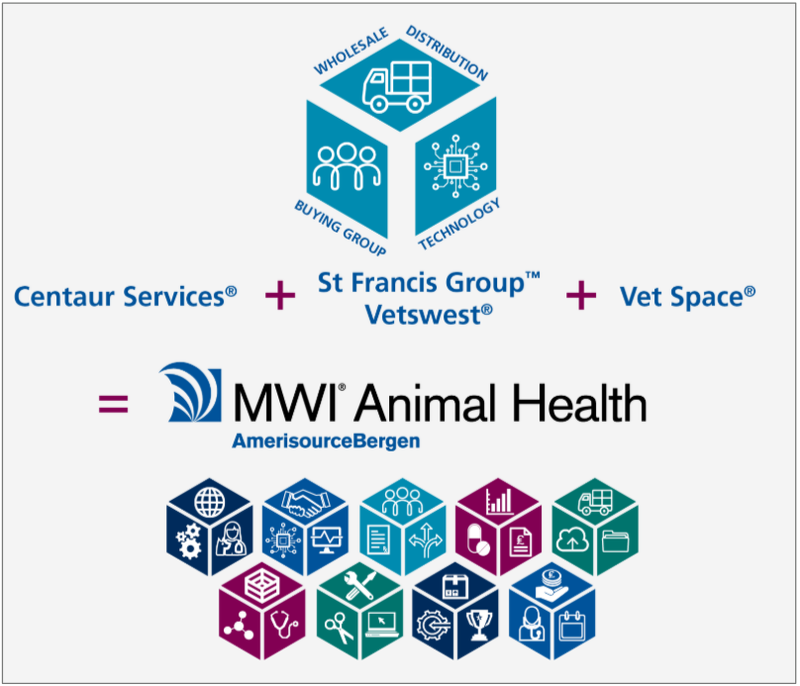 Combining the expertise of Centaur Services (Wholesale), St Francis Group and Vetswest (Buying Groups) and Vet Space (Practice Management Technology), MWI Animal Health has all its bases covered when it comes to providing flexible options to save you time and increase your profit. MWI Animal Health offers a variety of services that help you to run your business more efficiently. With their comprehensive knowledge of the veterinary industry, they are there to provide you with solutions to all your business needs. MWI Animal Health will be sponsoring the Practice Management stream at Virtual Congress 2019. Historically one of our most popular streams, this year the Practice Management segment will feature topics such as Inventory Management and Effective Pharmacy Management, which will cover stock taking, reporting and analytics, amongst other things. To get your ticket to the Practice Management Stream, plus the rest of Virtual Congress 2019, buy your ticket today – get it before Monday 3rd December to buy at a cheaper rate! Get your ticket today!